Ethereum is a platform with a built-in, Turing-complete virtual machine that strives to be the “world-computer” and a decentralized protocol for building decentralized applications on top of it. Can ETH be sold for cash? In contrast to Bitcoin, Ethereum does not use its underlying blockchain protocol only to facilitate p2p electronic cash transfers but instead serves additionally as an ecosystem in which programming code of any decentralized application can be executed. For this purpose, Ethereum has its virtual machine, its specific programming languages and two different types of accounts. Standard accounts like BTC-addresses, hold a balance and can be used to send and receive cryptocurrency and on the other hand, there are so-called contract addresses. Contract addresses contain code which determines when to whom and under which conditions funds that have been sent to this account are released. This mechanism is known as a smart contract. The embedded asset of the Ethereum blockchain is called Ether, or short ETH. ETH can be used as a currency and can be used to pay the participating nodes within the platform to execute the requested operations. Vitalik Buterin outlined his idea for Ethereum in a whitepaper in 2013. He took the view that Bitcoin needed a more advanced scripting language for application development. But this concept was not implemented in Bitcoin, so he decided to start the development of his own platform. He formed the Ethereum core team and began with formal development in early 2014. The group consisted of himself, Mihai Alisie, Anthony Di Iorio, and Charles Hoskinson. The did a crowdsale that lasted from July to September 2014. 18.4 million USD was collected, and the exchange rate was 2000 ETH for 1 BTC, which equals a price of 0.35 – 0.40 USD per ETH. The Ethereum Enterprise Alliance (EEA) was founded in March 2017 and is a collective of start-ups and Fortune 500 companies with the purpose of supporting Ethereum and research how Ethereum can be implemented in existing businesses. Ethereum mining is currently Proof-of-Work and functions mostly like Bitcoin Mining. The PoW-algorithm is Ethash, not hashcash like Bitcoin and the time a new block is appended to the blockchain is 5 seconds, in contrast to BTC’s 10 minutes. ETH is mostly mined by GPUs, but Bitmain has already announced they will bring Ethereum ASICs on the market. The Ethereum core team is planning on switching mining from proof-of-work to proof-of-stake with an update called “Casper” in the next months. PoS differs from PoW in the way what the scarce resource is. In PoS, instead of hashpower, it is ETH that is held as collateral and can be lost due to fraudulent behavior and increased through honest behavior when validating transactions. What differs Ethereum from other Cryptocurrencies? Ethereum’s use case is not only the function of currency, but instead, it is an entire ecosystem where decentralized applications are built on top. This architecture allows several interesting use cases like tokenization, smart contracts, and ICOs. The block time is much shorter than the block time of Bitcoin and Ethereum uses a virtual machine and several specifically designed programming languages. The maximum supply of ETH is uncapped at the moment, but this is currently discussed to be changed. How much is Ethereum worth today? The circulating supply at the time of writing is 98.907.229 ETH, and the total supply is uncapped. But there are ongoing discussions by the core team at the moment whether the total supply should be capped at around 120 million. You can buy ETH on most cryptocurrency exchanges, most notably Coinbase, GDAX, Binance, Bitfinex, OKEx, Bithump, Kraken, and Gemini. Also, there is the option to buy ETH person-to-person through Localethereum. You can sell ETH for cash on several cryptocurrency exchanges that have fiat-pairings, most notably Coinbase, GDAX, Kraken, and Gemini. Also, there is the option to sell ETH person-to-person through Localethereum. Ethereum has many exciting developments going right now. The switch from Proof-of-Work to Proof-of-Stake is making good progress, the code for Casper phase 1 is already on GitHub. Plasma, side-chain solution which reduces data-bloat on the root-chain is making progress as well. With the Raiden Network Ethereum has state-channel options similar to Bitcoins Lightning Network. And of the best features of Ethereum is the token standard ERC721, this standard allows the creation of non-fungible tokens (NFTs). In my opinion, this standard will play a significant role in the tokenization of real-world assets like real estate, company shares, etc. When Ethereum has implemented staking via PoS, the actual available supply will be reduced because there is less ETH available on the free market. And if they will decide to cap the maximum supply to 120 Million (which is likely at the moment), it will boost ETHs value actively. Then we have SoV-characteristics and digital scarcity. Technological progress is good, and there is more to come this year. 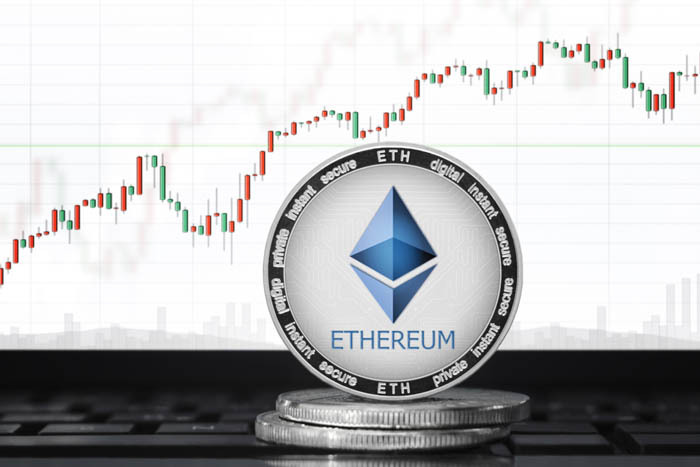 Downsides are that PoS is not as thoroughly researched and understood as PoW and if the ICO-bubble bursts, ETH could suffer as there is a direct correlation between ETHs value per unit and the number of ICOs launched on Ethereums blockchain. The loss of this use-case maybe can be absorbed through the NFT use-case, which I think is Ethereums strongest unique selling point.